Tony Rey is now into his 24th year with the New Zealand Cup Team, the only person who has remained with the team throughout their lengthy history. 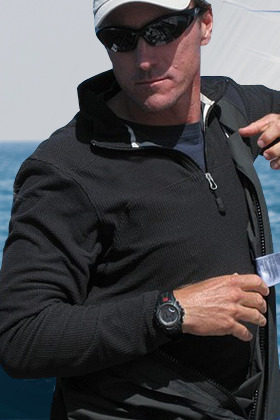 He has competed in major international sailing events, such as the Volvo Ocean Race and America’s Cup . For the Atalanti Racing Team, he took part in the 2011 Greek Nationals, in the 2012 Poseidonia event, as well as the International Etchells European Championship.